The Kardashians are known for their luxurious, contemporary style that dress every area of their life in, especially their homes. They always have a sophisticated palette that is punctuated by a unique flair. In the case of sisters Kourtney and Khloe, both homes were designed by Martyn Lawrence Ballard but each has its own distinct style. Kourtney Kardashian’s new home in California is elegant with a few pops of bright, fresh colors. It has a very sleek, modern edge that even possesses some midcentury modern moments in it. It’s full of clean lines and rich textures. It’s a long way away from the whimsical, Wonderland-esque nature of her last home, taking on a more mature nature while still capturing a unique flair. 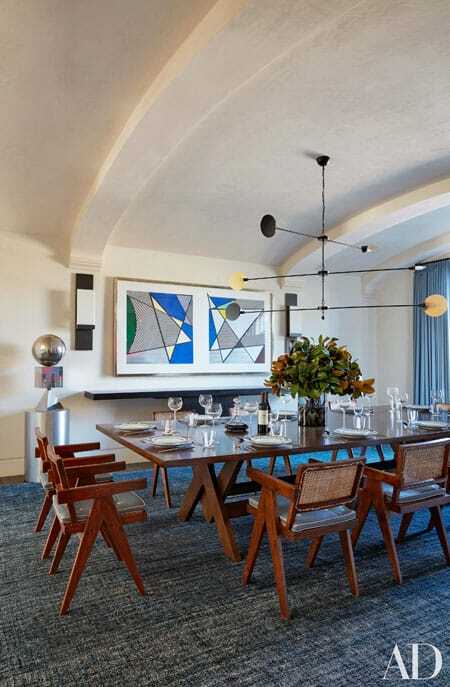 Here are the beautiful images of the home tour as seen in Architectural Digest. Kourtney’s office is a beautiful mid-century modern space. The many different wood accents all work together to create a well-layered space that still feels clean and simple. White lounges look simple and chic by the luxurious pool area. A circular foyer is surrounded by stunning windows that bring the outdoors in. Black and white looks super chic in the living room, accented by subtle metallic elements for some depth. A rustic texture on the kitchen cabinets brings a lot of character to the modern gourmet kitchen. A barrel ceiling brings a traditional touch to this otherwise very modern dining room. The master bathroom is rich with dark wood fixtures. The lighting fixture is a step away from the clean lines for an artistic element. 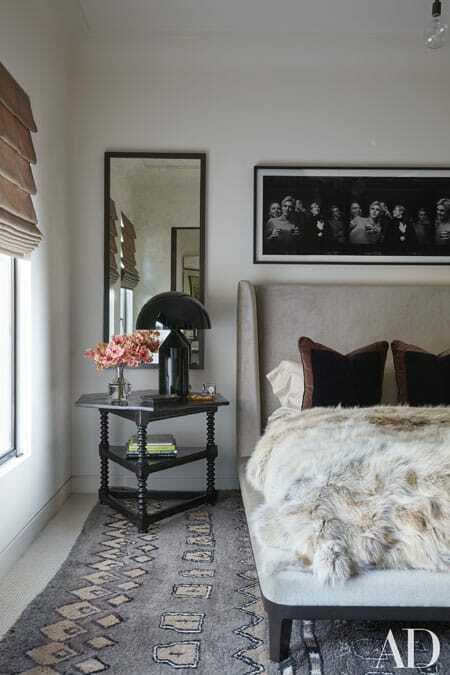 A furry comforter brings a glamorous touch to this comfortable, stylish bedroom. Kourtney’s daughter’s bedroom is simple but whimsical. The “love me” neon sign is an unexpected touch that looks adorably hip. In the playroom, a large chalkboard wall and drum set encourages the kids to get creative. The nursery continues the modern Disney theme in a gray palette with bursts of red and blue. A calming neutral palette drapes the modern furniture in cool tones, allowing the few pops of color to make a statement. This home offers some great interpretation of modern design, especially when used in the family-friendly spaces.